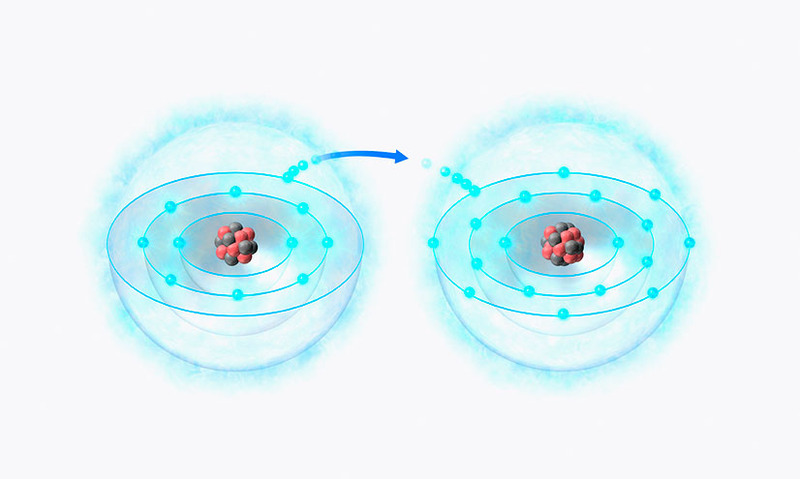 An atom or molecule that has gained or lost one or more electrons, and so has an electrical charge. An atom or molecule that has gained or lost one or more electrons, and so has an electrical charge. A cation is a positive ion, created when electrons are lost. An anion is a negative ion, created when extra electrons are acquired. A cation is a positive ion, created when electrons are lost. An anion is a negative ion, created when extra electrons are acquired.